Our goal is to connect people with the best local experts. We scored electricians on more than 25 variables across five categories, and analysed the results to give you a hand-picked list of the best electricians in Roseville, CA. AC-DC Electrical Services is an electrician that serves the Sacramento, CA area. Providing repairs, troubleshooting, inspections, installations, and more, AC-DC offers quality work via highly trained master electricians. With more than three decades of experience, AC-DC can offer customers the peace of mind that they desire when hiring an electrician. Getting the job done right is the calling card of AC-DC Electrical Services because they’ve been they’re before. AC-DC has received effusive praise from customers, who have lauded this company for their professionalism, inventiveness, and promptness. An accurate estimate gets the process started for prospective customers, and it quickly becomes clear that AC-DC Electrical Services strives for excellence on every job. Bolden Electric focuses on bringing the best industry practices and knowledge to every client project. The trusted, Roseville-area electrical contractor provides premium quality services that often enhance the comfort and value of homes and businesses. Discerning clients with the most exacting standards trust the experts at Bolden Electric to provide customized solutions that meet specific needs and budgets. The business commits to complete customer satisfaction by maintaining a team of highly trained electricians skilled at handling projects of all sizes. Bolden Electric enjoys an excellent reputation for providing customers exceptional service without ever compromising quality or cutting corners. The expert electricians have many years of hands-on experience handling electrical audits, repairs, installations, and build outs. Clients appreciate the professional quality service delivered in a quick, efficient manner by friendly, knowledgeable specialists. C&B Electric does business out of Fair Oaks but also serves residential and electrical customers out of the greater Sacramento area. Customers on social media have responded to the company’s competitive pricing and reliable customer service. 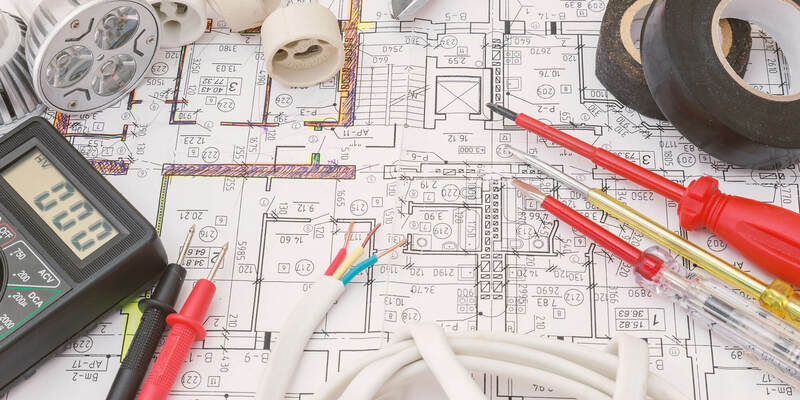 C&B carries a C-10 electrical contractor license, and it has worked in a variety of phases within the industry including code corrections, creative lighting, panel upgrades, and new construction. The company prioritizes energy efficiency in its approach to each work order while making services available to clients 24 hours per day through an emergency response program. C&B provides free estimates before doing any work and guarantees each job. Choice Electrical Inc, located in Folsom, California, since 2007, provides residential and commercial customers throughout Sacramento County and the surrounding areas with complete electrical repairs, maintenance, and installations. Highly qualified and fully licensed technicians specialize in rewiring, renovations, custom, landscape, pool, and spa lighting, fuse and circuit breaker conversions, upgrades, GFCI and ARC-Fault device maintenance, wiring new equipment, panel replacements, surge protection, and troubleshooting services. Family-owned and operated, they handle jobs of all sizes, offer free estimates and consultations, and match warranties from all manufacturers. Many glowing reviews praise the prompt, knowledgeable, and communicative team of technicians and affordable rates. Evans Lighting & Electric, based in Roseville, California, serves homes and businesses throughout Sacramento, Placer, Yolo, and El Dorado counties with a full array of electrical services, repairs, and installations. Fully licensed, bonded, and insured, the experienced team of technicians delivers innovative and efficient solutions to all electrical needs and problems. They specialize in troubleshooting service calls, panel upgrades, remodeling, spa wiring, GFCI protection, electric vehicle power stations, and street, post, sign, and parking lot lights. Offering 24-hour emergency service and a 35' working height bucket truck, they remain committed to prompt and reliable service at affordable rates and guarantee complete customer satisfaction. Larson Electric is a residential, commercial, and industrial electrical company with over three decades of experience. They are based in Roseville, California, and servicing Sacramento and Placer Counties. Head electrician Matt Larson is fully licensed by the Contractors State License Board and stays up to date on current code requirements. Larson Electric is available for repairs, troubleshooting, new installation, routine maintenance, and tenant improvement. Among the many services they offer are panel changes, lighting upgrades, indoor and outdoor lighting, LED lighting, generator back-up systems, and solar electrical requirements. They provide an initial free estimate and guarantee a response within two hours. Phil Haupt Electric is an electrician based in Sacramento, California, that has three decades of experience in the electrical field. They work with both residential and commercial properties and are able to tackle projects both large and small inside and outside of a home or business. General services they provide include installation of electric panels, outlets, circuits, exhaust fans, and smoke alarms. They are also able to repair flickering lights, code violations, broken switches, and a variety of other problems. Additional services they offer include LED upgrades, temporary power supplies for special events, custom lighting design, and new transformer installation. Robert Hudson Electric is a professional electrical contractor that serves clients in the greater Sacramento, California metropolitan area. A family owned and operated business, Robert Hudson Electric is fully licensed and has been in the professional electrical contracting industry since its founding in 1989. The company specializes in LED lighting and offers clients services in electrical, lighting, texturing, and painting phases of LED light system installation. Robert Hudson Electric offers prospective clients an estimate on its services and can be contacted for appointments by phone or via the messaging system on the company's official website. Previous clients praise the speed and quality with which the company performs its work.